The CyberSource patent also included a claim directed to ‘[a] computer readable medium containing program instructions for detecting fraud in a credit card transaction between a consumer and a merchant over the Internet,’ in which the instructions essentially implement the fraud-detection method when executed by a suitable processor. 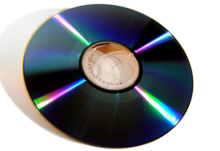 Such a claim, sometimes known as a ‘Beauregard claim’ (see below), is intended to capture, as a direct infringement, a product comprising physical medium, such as a CD-ROM or other carrier, on which a copy of a program implementing the invention has been recorded. Claims directed to ‘computer readable media’, or some equivalent expression of the same concept, are considered allowable in most major jurisdictions. In Europe, where ‘programs for computers … as such’ are excluded from patentability under the European Patent Convention, computer program product claims have been granted since 1998 so long as the program stored on the carrier, when loaded and executed on a computer, produces the additional technical effect necessary to qualify as patentable subject matter (IBM/Computer Program Product (1999) T1173/97; IBM/Computer Program Product II (1999) T0935/97). … the applicants all exploit their inventions by selling computer programs stored on a computer readable medium or by Internet download and competitors can, of course, do the same. This presents the applicants with the problem that, without computer program claims, they can only protect their inventions by invoking the contributory infringement provisions of … the Patents Act …. What is worse, those provisions give no protection against the production and sale of programs in the United Kingdom if they are intended for use abroad. In Australia, the current practice of the Patent Office is set out in the Patent Manual of Practice and Procedure (‘Examiners’ Manual’), Section 2.9.2.7 Computer Software Related Inventions and Mathematical Algorithms, which states that ‘executable code for patentable computer software’ is patent-eligible, when claimed ‘in a machine readable form’. As in Europe, and in a manner analogous to the approach taken in Discovery Holdings, this test requires the decision-maker to look to the substance of the invention, rather than to the particular form of the claim. That is, whether or not a ‘machine readable medium’ claim is patentable depends upon the patentability of the ‘computer software’ itself. In the US, computer program product claims have been granted by the USPTO since 1995, following the case of In re Gary M Beauregard & Ors (1995) 53 F.3d 1583. This is why such claims have become known as ‘Beauregard claims’. Although it seems to be quite widely believed that the CAFC confirmed the patent-eligibility of computer program product claims in Beauregard, in fact it did so only because the PTO decided not to fight the appeal from the decision of the Board of Patent Appeals and Interferences (BPAI), but that it had been wrong to reject Beauregard’s claims. Thus there was no longer any controversy for the court to resolve, and it issued the orders requested by the parties, namely that the BPAI decision be vacated. In re Beauregard is a four-paragraph ‘opinion’ which stands for nothing other than what the parties agreed. The theory underlying the patent-eligibility of Beauregard claims seems to have been that a tangible carrier – such as a magnetic disc, or CD-ROM – is a ‘manufacture’, and therefore falls within this one of the four statutory categories under 35 USC § 101. The question of whether the executable code stored on the carrier is sufficient to enable it satisfy the other requirements of the patent law, such as novelty and nonobviousness, is separate from this fundamental enquiry. Regardless of what statutory category (“process, machine, manufacture, or composition of matter” …) a claim’s language is crafted to literally invoke, we look to the underlying invention for patent-eligibility purposes. Here, it is clear that the invention underlying both claims 2 and 3 is a method for detecting credit card fraud, not a manufacture for storing computer-readable information. … CyberSource has not met its burden to demonstrate that claim 2 is “truly drawn to a specific” computer readable medium, rather than to the underlying method of credit card fraud detection. … we have never suggested that simply reciting the use of a computer to execute an algorithm that can be performed entirely in the human mind falls within the Alappat rule. Thus, despite its Beauregard claim format, … we treat claim 2 as a process claim for patent-eligibility purposes. Here we see a similar ‘form versus substance’ approach to that which applies in Europe, and which has recently been applied by the Australian Patent Office in Discovery Holdings. It is also notable that, notwithstanding the fact that the CAFC has (to our knowledge) never actually considered the patentability of claims written in the ‘Beauregard claim format’, the wording of the CyberSource opinion appears inherently to presuppose that such claims are patent-eligible, unless the ‘underlying invention’ is unpatentable. The bottom line is that when considering claims directed to computer program products, a very similar approach applies regardless of jurisdiction (e.g. Australia, Europe, US). It is fundamentally necessary to determine whether the ‘underlying invention’ (typically expressed as a method or process) is patent-eligible. Certainly, for any given invention the answer to this question may be different in each jurisdiction. However, if the invention is patentable, when suitably-claimed as a method or apparatus, then a corresponding claim directed to a ‘computer readable medium’ or the like, bearing program instructions embodying the same underlying invention, will also be patent-eligible. Conversely, if the underlying invention is unpatentable, it will be of no avail to attempt to claim it in a tangible form, such as a computer program product comprising a recorded medium. The courts reasoning is logically incorrect. Unless the 'substance' being claimed is so broad that the claim covers every possibility of the substance in question, there is no reason to conclude that a specific embodiment of the substance is not patent-eligible. The claim is either definite or indefinite. This substance vs form business is just another excuse to screw inventors. if the formality of disclosure is as important as the substance being disclosed, why the APO never issued formality guidelines? Wouldn't clear guidelines make everyone's life alot easier?